A locally-owned company is offering sheep lawn mowing services in Northampton. 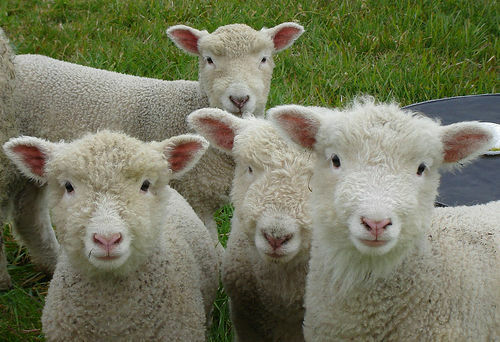 The advantages of sheep over fossil fuel powered lawn mowers include: the animals are usually silent; they don’t emit lung cancer-causing air pollution; they fertilize the lawn; and they produce cheese, yogurt, wool, and meat. Dairy goats also work well for lawn mowing. The fences won't injure people or animals and can easily be moved and taken down for the winter. Submitted by Anonymous on Sat, 07/30/2011 - 09:59. I grew up in London after World War II. At that time Hyde Park--the big park in central London -- was entirely mown by sheep in large, moveable hurdles (fences). It was very peaceful for the sheep and we kids loved them.